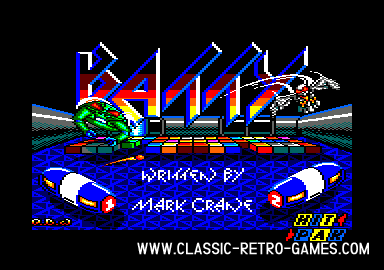 Batty is an Arkanoid clone, no surprise there right? 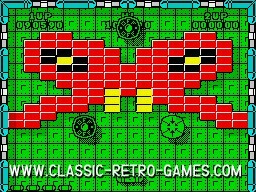 The gameplay is pretty much the same as any of the breakout, arkanoid clones, but Batty does have some extras. It's a great break out game by the way, even without the extras. But Batty features enemies flying around throwing bombs at your bat. And when they strike, your bat is immobilised for a while. Other than that it also has some kind of magnets changing the path of the ball making it even more challenging. This remake by Dan's remakes for Windows brings back all the fun. 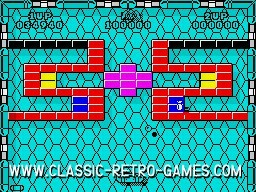 If you don't know this Arkanoid clone, now is your change to give it a try!